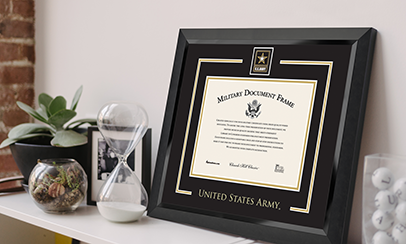 Our online custom framing options allow you to preview every imaginable diploma frame design before you buy! Our expert design team has carefully selected the most popular frame styles, mouldings, and mat options for YOUR specific school. 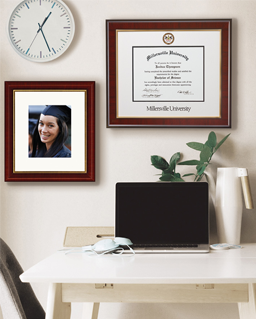 Each frame features official school marks and is already sized to fit your diploma — just choose a favorite and customize! Designing your very own made-to-order frame is as easy as 1, 2, 3! 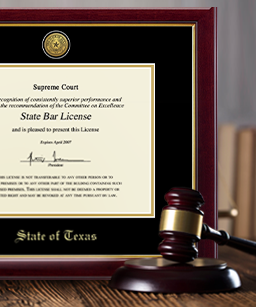 We handcraft diploma frames for colleges and universities all across the U.S. Just search your school above to get started. 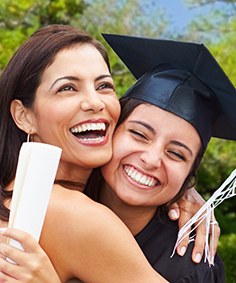 Whether elegant and traditional or sporty and modern, we have just the right frame to reflect your college experience and your signature style. Make it your own! Tailor the online moulding options and mat colors and textures to complement your home or office decor.